SPORTS are fun especially Kitesurfing! Physical exertion and skill are two things that everyone involved in SPORTS have in common and Kitesurfing (also called Kiteboarding) requires a double dose of both. This is an incredible sport that makes windsurfing look like kids play. 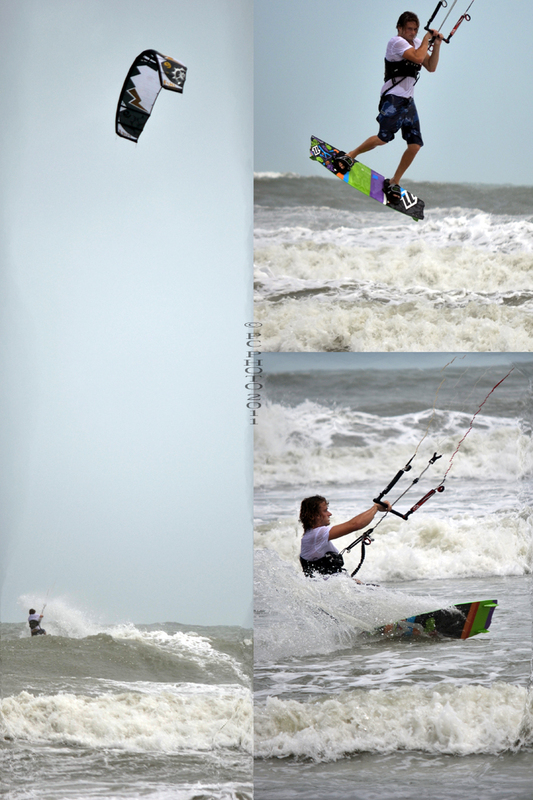 Kitesurfers came to the Cocoa Beach this week to catch their high in the waves and wind of hurricane Irene. These thrill seeker athletes provided entertainment for the crowd that had come to see the churning ocean.